The location was good for us, no nonsense check in and check out made it easy. We stayed as a couple with a baby in a double room. It was basic but spacious and clean. Would stay again. Restaurant- the quality of the food & the staff was outstanding. Very accommodating & there was a large group of us. I wouldn't hesitate to stay here again. I was very pleased with the room. The adjoining rooms remained quiet which is a bonus. Pleasant view of garden from room window. Clean, spacious, storage, big mirror in the bathroom, warm temperature. The hotel has off road parking, a restaurant serving reasonable priced food for the evening and the breakfast was very good. I was working in Middlesbrough and the hotel is ideally place allowing easy access into town. The friendly staff along with the warm welcome and the friendly feel to the pub next door. The swimming pool looked very nice, although it had full length windows facing onto the main road so you could see people in their swimwear on approach... odd! We ordered the nachos starter to share and that was fantastic. Big portion and really tasty. 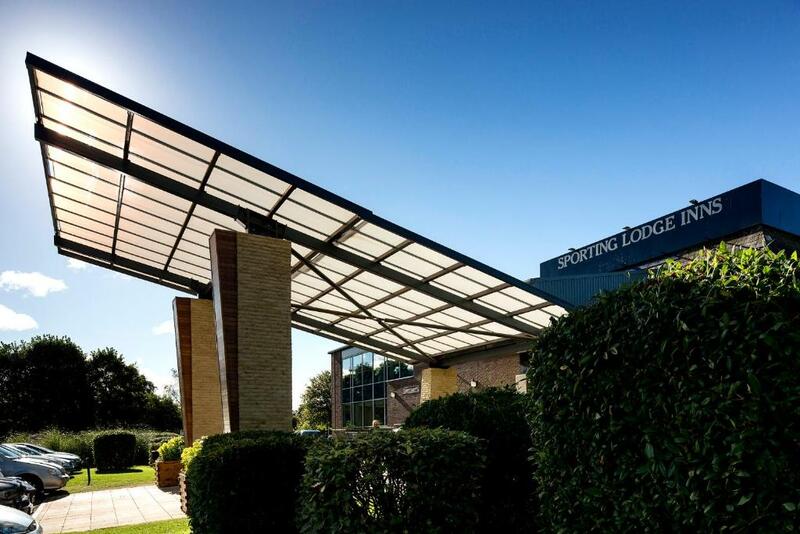 Situated on the outskirts of Middlesbrough, Sporting Lodge Inn offers free WiFi and free parking. The property is just 6 miles from Stockton-on-Tees and the Durham Tees Valley Airport is just 20 minutes' drive away. 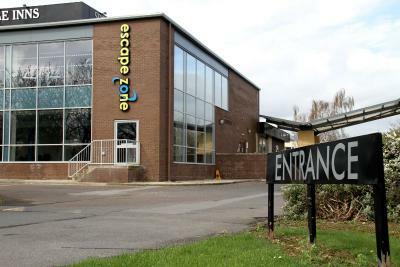 Guests can enjoy complimentary use of the facilities in the Escapezone Leisure Club, which includes a 30 yards swimming pool, a sauna, and a steam room, along with a gym and a spa. The rooms at the Sporting Lodge boast a TV and tea and coffee making facilities, along with an en-suite bathroom. In the mornings, the Sporting Lodge Inn Middlesbrough serves breakfast. The property boasts the relaxed Old Poste House Bar & Grill, which offers a wide variety of food and drinks. Ideal for exploring the surrounding area, the Sporting Lodge has easy access to the A19, A174, and the A1. It is a 10-minute drive from the centre of Middlesbrough and the historic town of Yarm. Sporting Lodge Inn Middlesbrough has been welcoming Booking.com guests since 1 Aug 2005. When would you like to stay at Sporting Lodge Inn Middlesbrough? With free WiFi, this en suite room includes a flat-screen TV and tea and coffee making facilities. With free WiFi, this en suite room includes a flat-screen TV and tea and coffee making facilities. This room can accommodate 2 adults and 1 child. With free WiFi, this en suite room has a TV and tea and coffee making facilities. The room can accommodate 2 adults and 1 child. The Sporting Lodge Inns is an ideal base for visiting the surrounding areas as it is within easy access to the A19, A174 and A1. With 140 en-suite bedrooms we have room's to suit all your requirements whether you’re staying for business or leisure. House rules Sporting Lodge Inn Middlesbrough takes special requests - add in the next step! Sporting Lodge Inn Middlesbrough accepts these cards and reserves the right to temporarily hold an amount prior to arrival. Please note, this property offers room-only accommodation. Guests can purchase breakfast on-site for an additional fee. Furniture and decor a bit dated and it could really use a revamp but it was a comfortable stay for the price. Rooms and bathroom very tired and could do with up dating. Television in room kept freezing. As was old ariel TV. The furniture in room was very dated. The room was cleaned, however very shabby, stained carpet. Silicone missingbin the corners of the bathroom. No lock on my ground floor window, could have been opened from the outside at any point of me being away. The WiFi didn’t work at all, room was quite cold, water in bathroom was either scalding or freezing in the sink. The bedroom was dirty. There were multiple stains all over the carpet; the curtains were torn; there were black pubic hairs on the toilet seat, in the toilet bowl & on the ledge behind the toilet. Disgusting! There was grit on the bathroom floor.